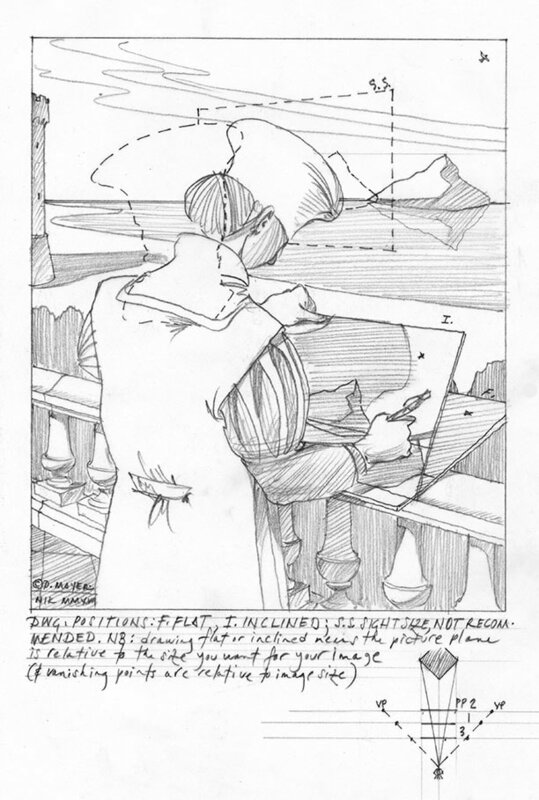 Perspective is predicated on just a few parameters: a viewer in a fixed position, with a fixed gaze, and a constant picture plane (always perpendicular to the axis of the gaze). Imagine looking through a glass and tracing what you see on the glass; now, move the glass closer or farther from the subject, or move your head closer or farther from the glass (you can also do this looking out a window, moving closer and farther from the window). Notice how the size of the image changes. Then, turn your head at a different angle to the subject, keeping the glass in front of you. 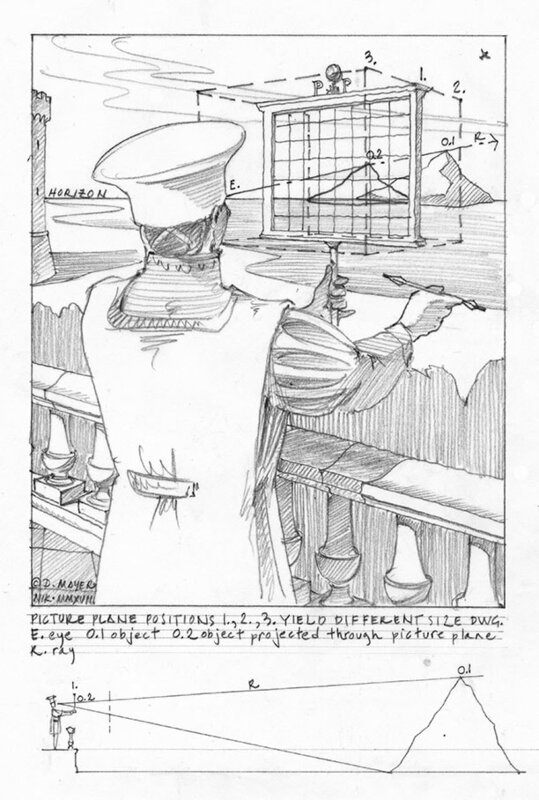 Notice that, while your horizon line remains constant, the image's vanishing points have changed. ​As we say on the Disegno page, the purpose of drawing in the Renaissance was to train the memory, so the artist would be freed from the model to invent. Pietro Bellori criticized those artists who were "slaves to the model." By learning to observe without measuring, the artist is training her memory, and also her judgment: she is inculcating not just the subject, but its principles, its proportion, and its structure. Those things can then build a storehouse of memory for the process of invention. By relying instead on direct measuring and transcription at the same size as the subject, the sight size method privileges accurate documentation over training the judgment of the mind and hand. As Michelangelo said, It is necessary to keep one's compass in one's eyes and not in the hand, for the hands execute, but the eye judges.